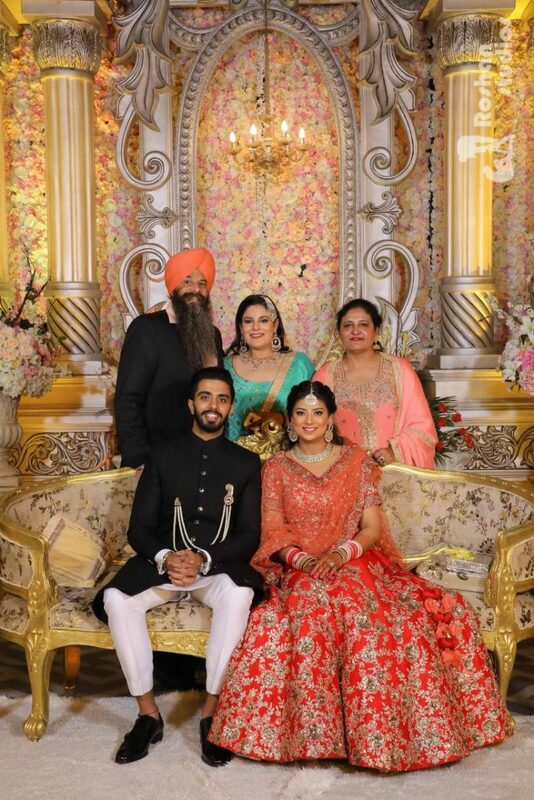 A Big Fat Punjabi Wedding - Amaneet Weds Inayat! 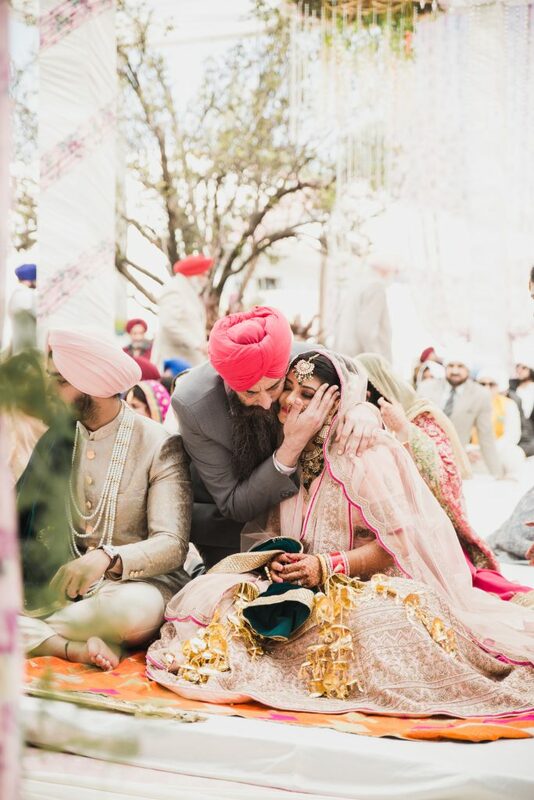 Our lovely couple Amaneet and Inayat’s journey from friends to soulmates is something straight out of romantic novels<3 And then here’s their ‘must watch’ big fat Punjabi wedding full of colour, music and lots of inspiration for all you ‘much in love’ couples planning your wedding soon! 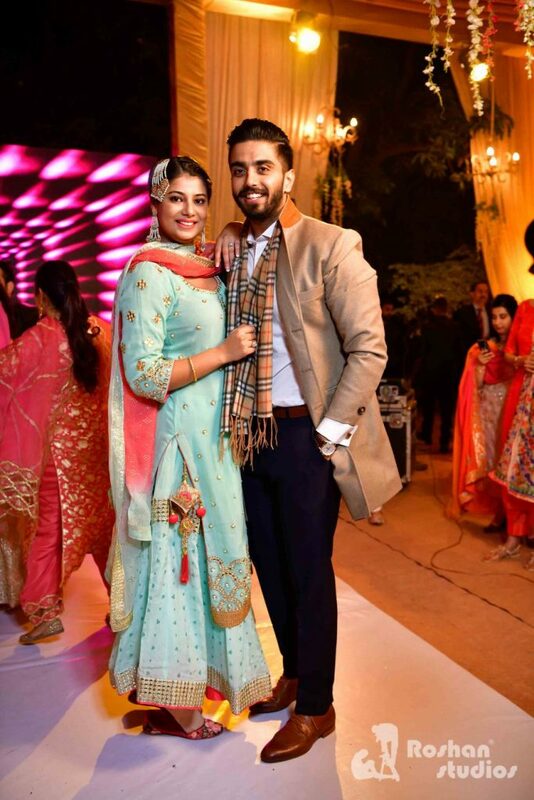 Amaneet and Inayat met way back in 2009, during college and a beautiful friendship blossomed. 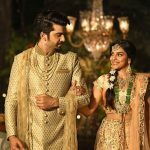 So how and when did their friendship turn into a fairy-tale romance? 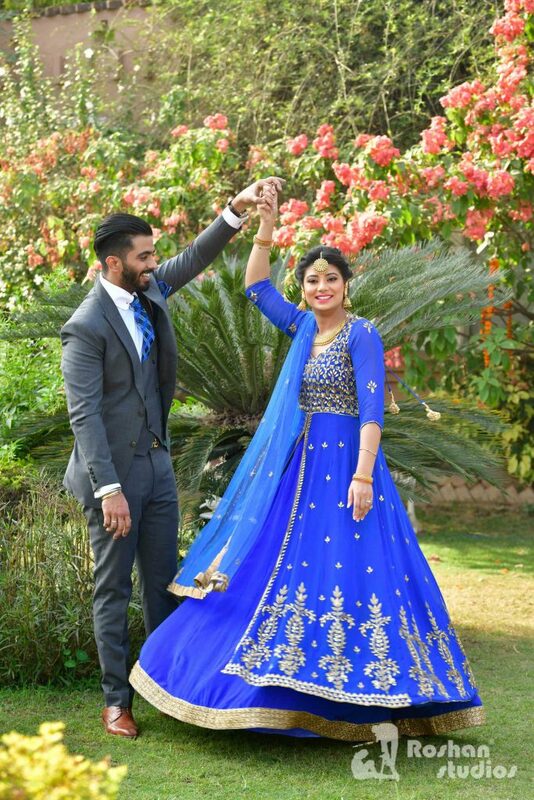 Let’s find out…..
For her engagement ceremony, Inayat wore a lovely royal blue anarkali with gotawork. 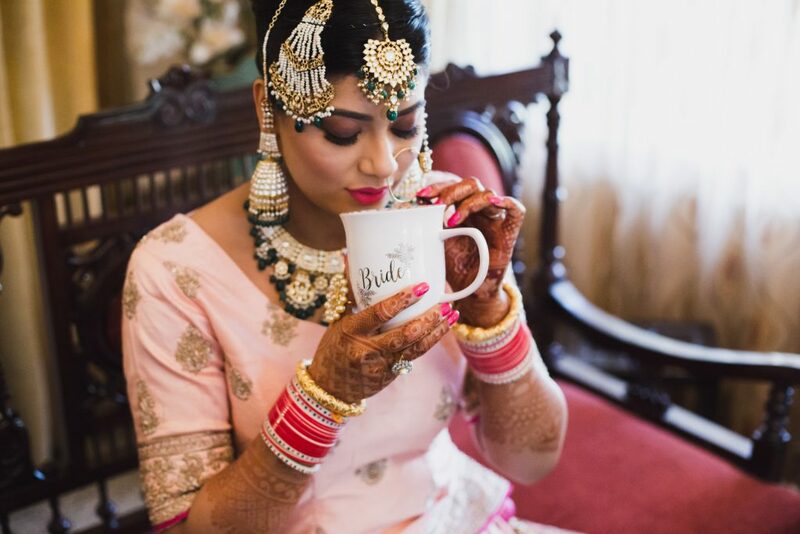 Her minimal makeup and oversized maangtika were all that she needed to add charm to her bride-to-be glow! 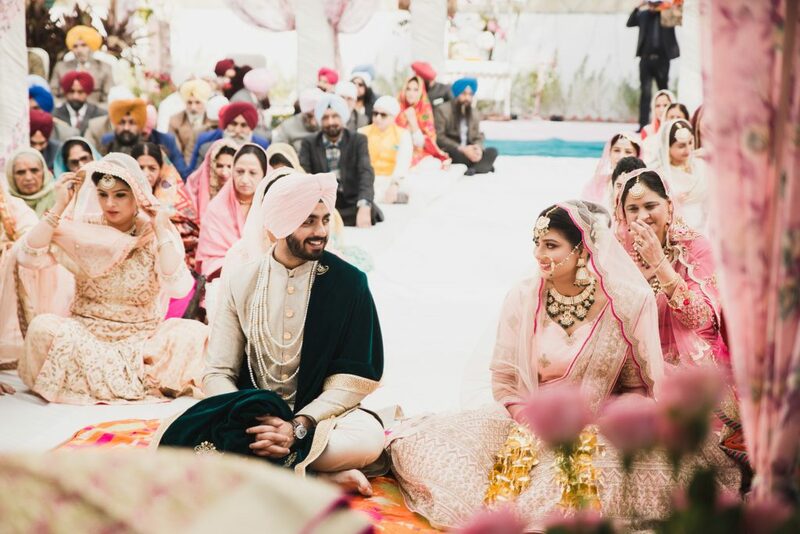 From his color coded tie and pocket square to the smiles on their family’s faces, the engagement set the mood right for their big fat punjabi wedding! 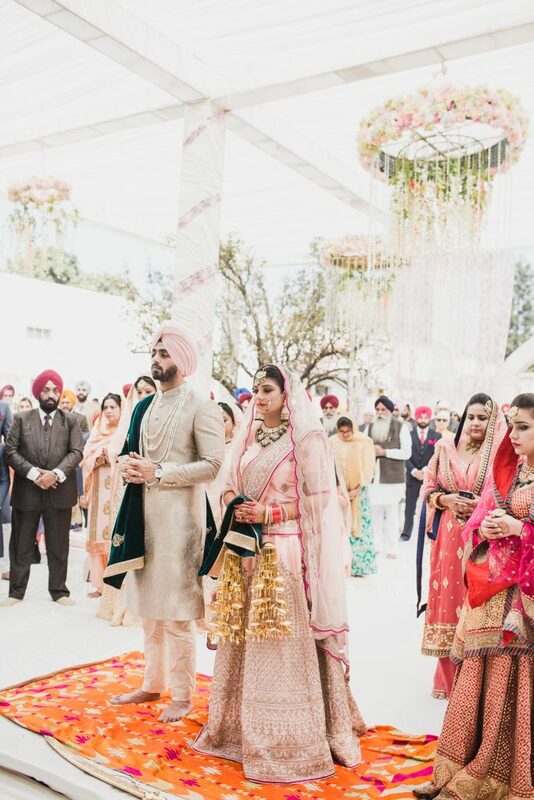 We love how our happy bride avoided typical red, greens and chose a subtle pastel kurti and sharara instead. 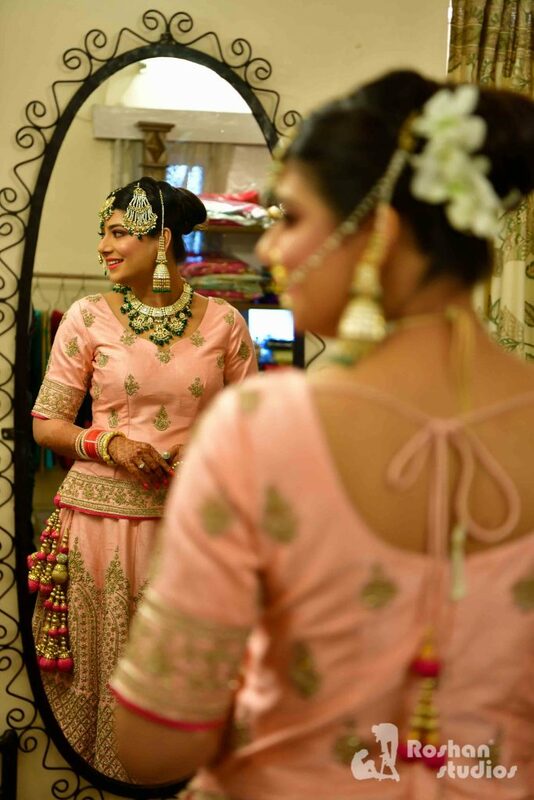 Her pearly paassa and matching jhumkas completed her sweet and simple look! 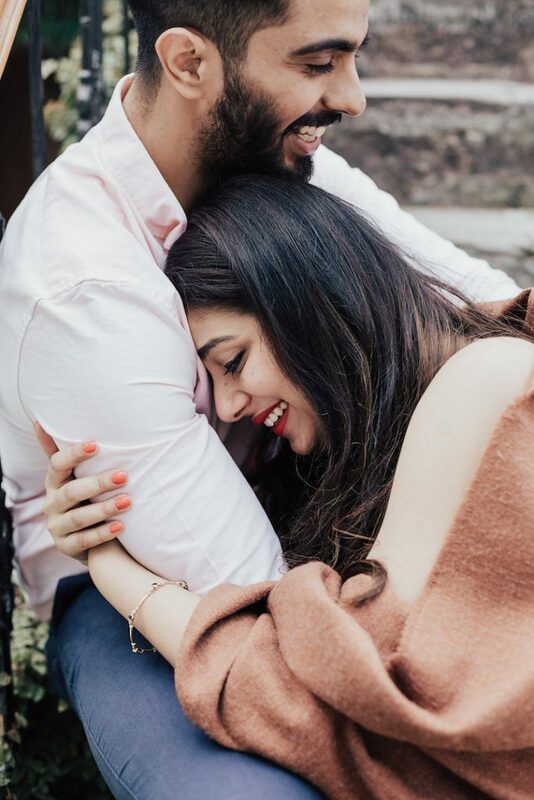 Don’t you heart how the couple looks adorably in love together! 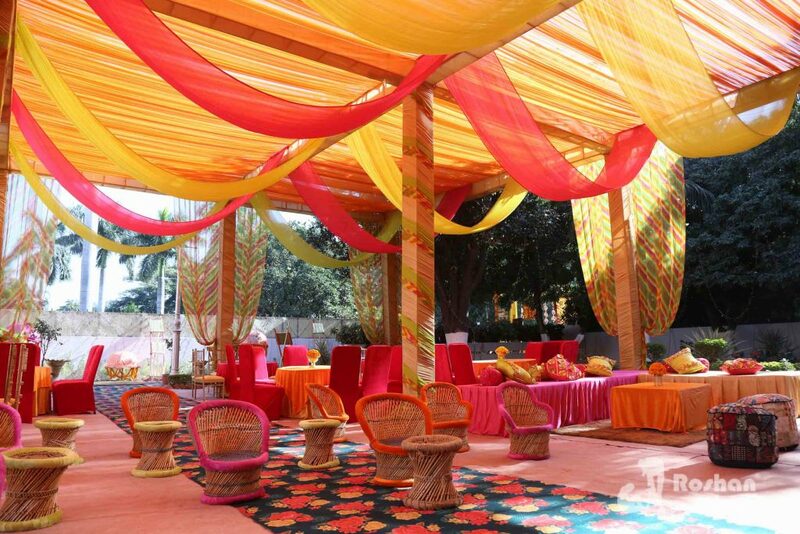 Which mehendi decor is complete without some colorful drapes, earthy seating and quirky props! 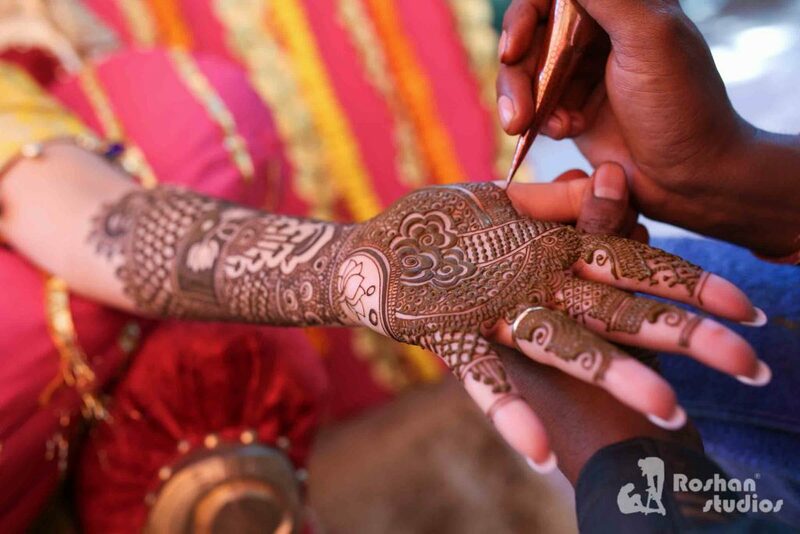 And we bet you can’t stop falling in love with Inayat’s gorgeous mehendi design! 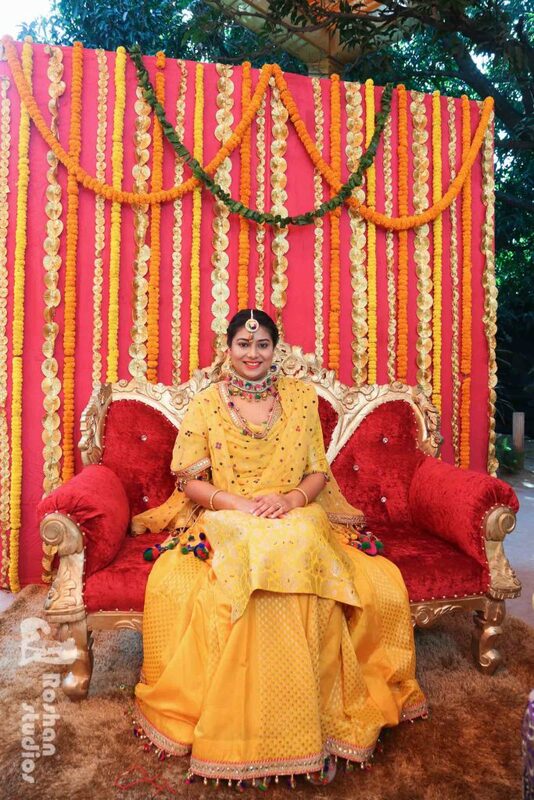 Beautiful Inayat looked radiant in a refreshing sunshine yellow lehenga and delicate, colorful gotta jewelry! 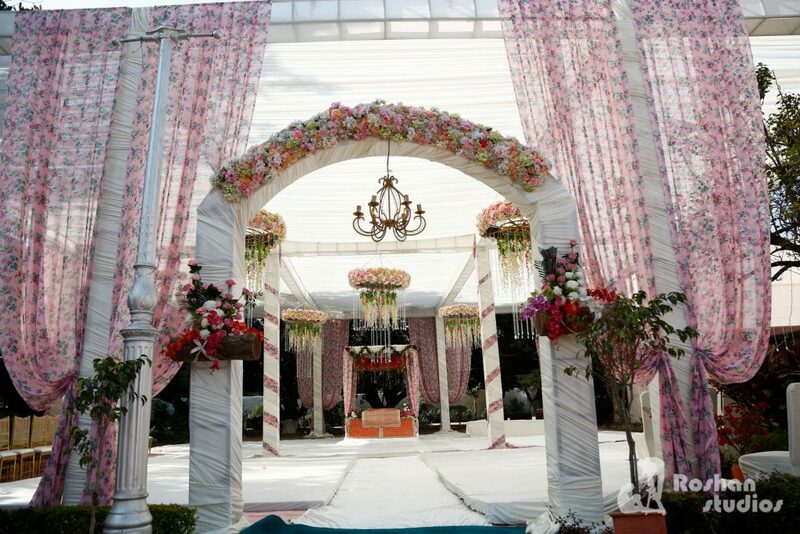 The wedding took place in Chandigarh with laavan at Inayat’s house and the wedding party at The Apple Resorts. 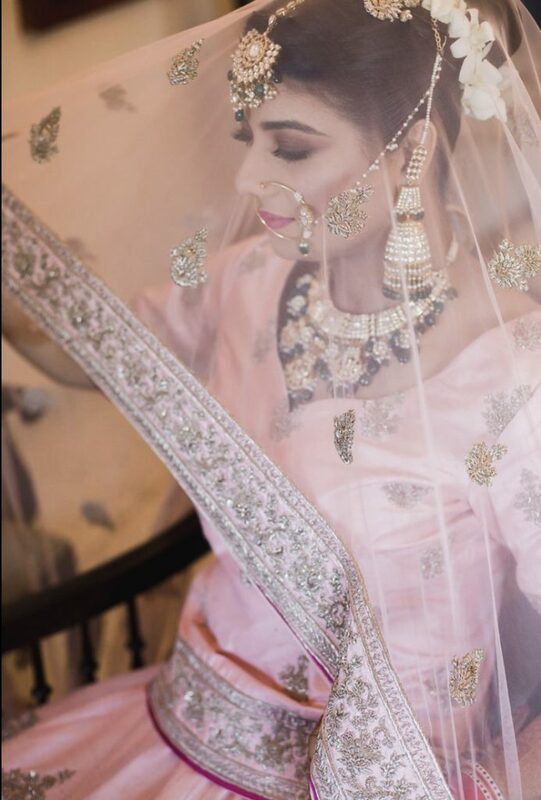 For her wedding day, Inayat chose a pretty pastel pink lehenga with silver zardozi work, teamed with a gorgeous kundan and pearls set with just a hint of green! 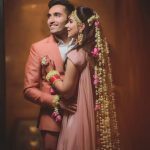 From the cosy prewedding memories to the evergreen portraits and such fab ‘behind the scene’ candid shots, the photography by both Harleen Deol and Roshan Studios was beautifully done. 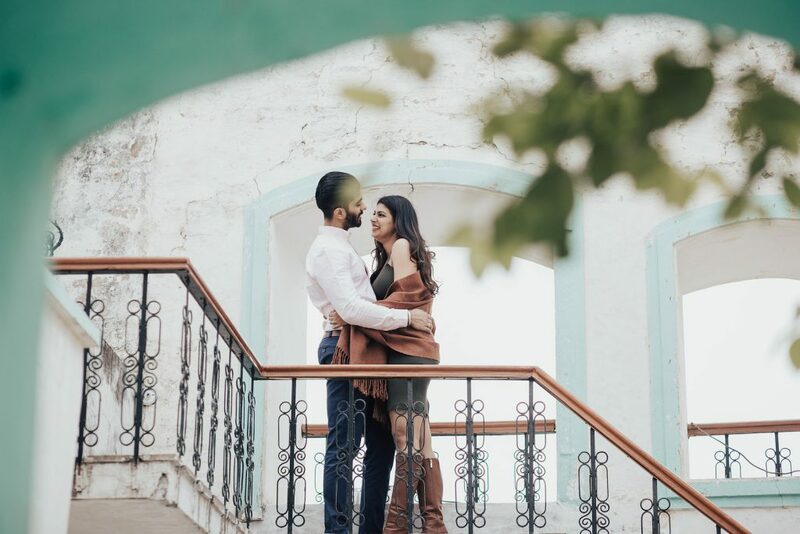 Going from acquaintances to friends to best friends to even enemies to best friends again and then a couple and then finally married – that’s one helluva journey we’d say! 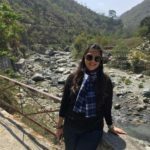 Let eyes do the Talking! 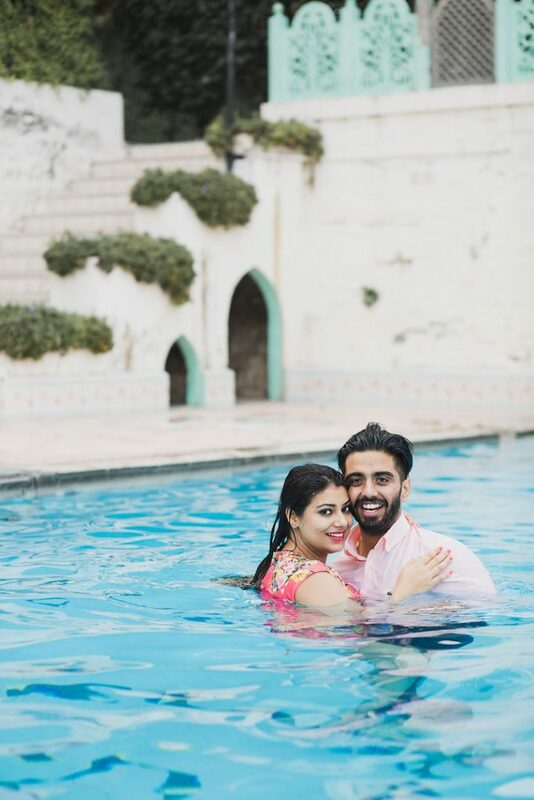 “When our pictures were being clicked right after the laavan, we had not eaten anything since morning 🙁 and we might have eaten the photographers raw! 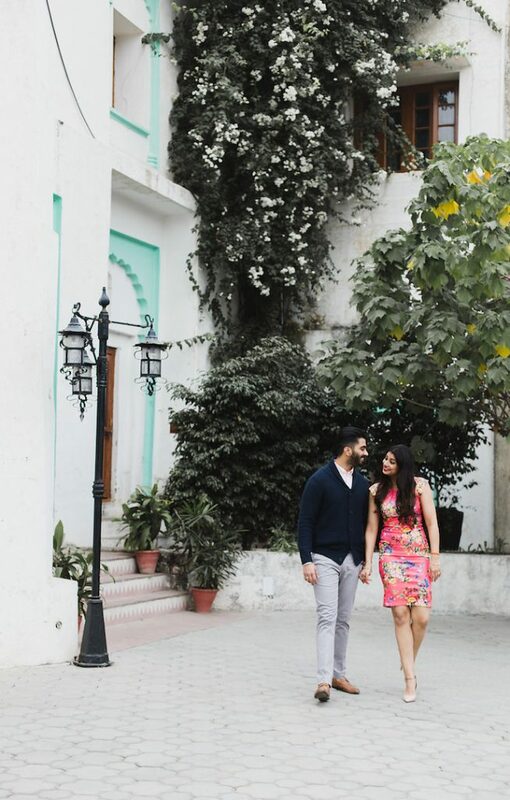 And we must say that our lovely couple, Amarneet and Inayat set some serious #couplegoals for all future brides and grooms-to-be! 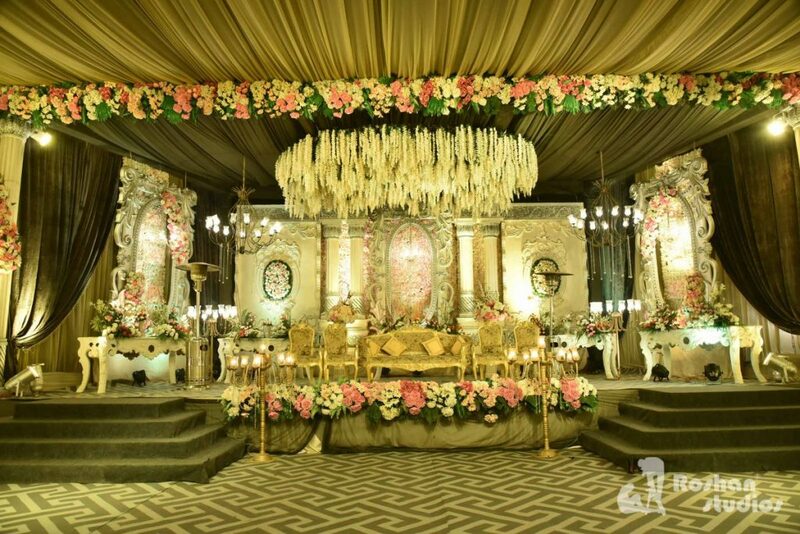 Looking for something GRAND? 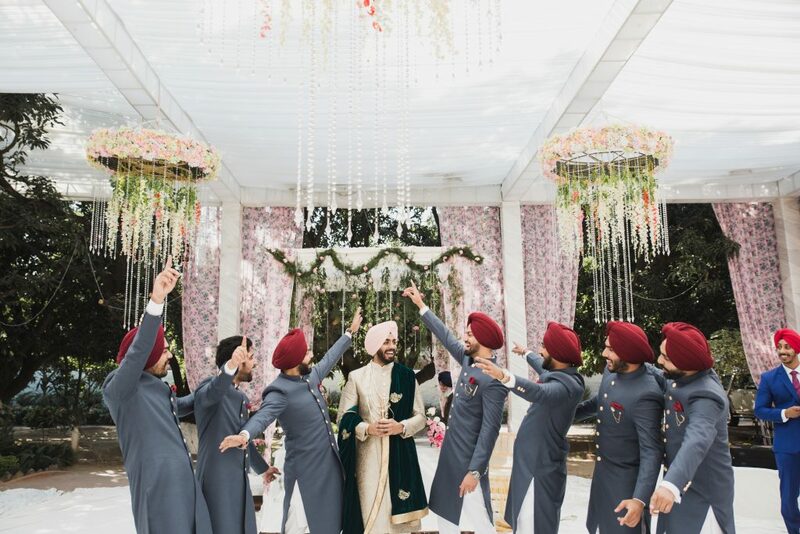 This Punjabi wedding set in a Palace will make you go Wowwww! 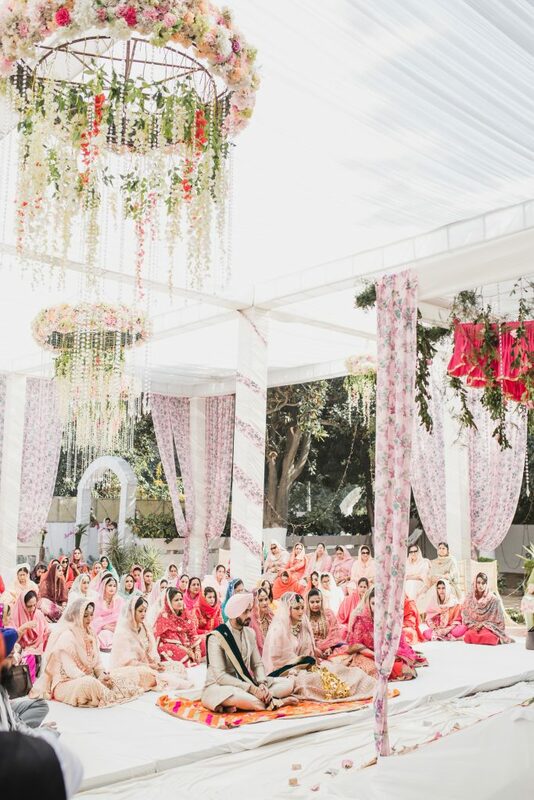 Wedding Inspiration from a Grand Punjabi Wedding – #SabKhush! 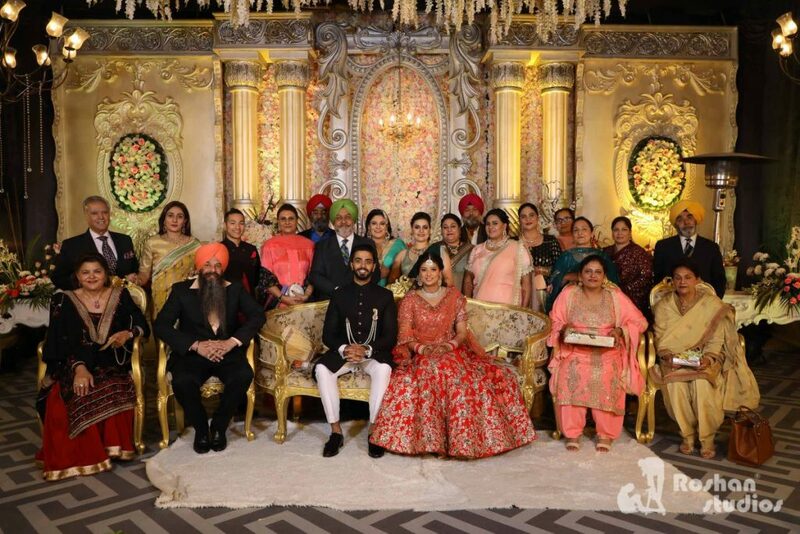 Their wedding reception held at the Royale Banquet, Chandigarh was a lit up affair with family, friends and a galore of guests! 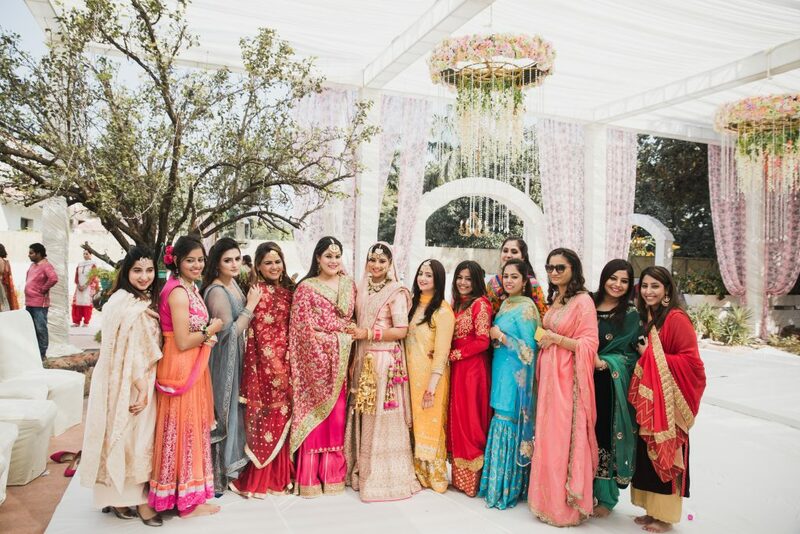 Our gorgeous bride wore a bright red lehenga and long blouse with intricate gotawork. 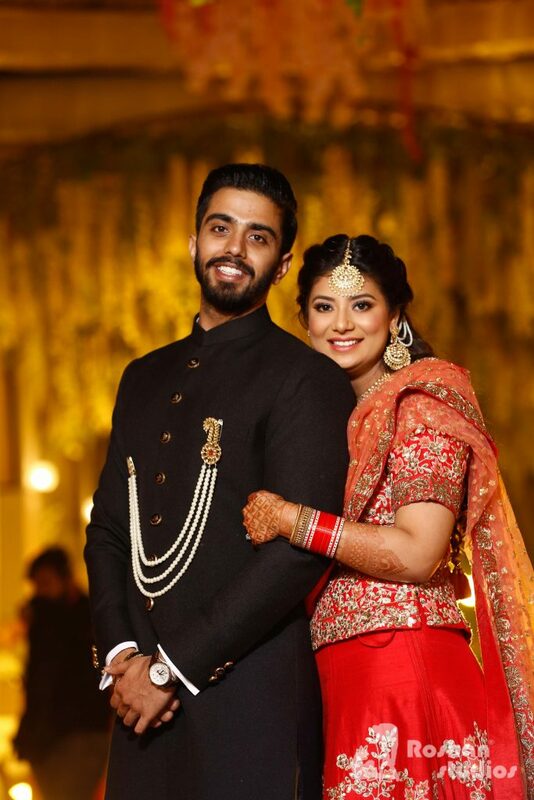 Her matching chandbaali earrings and maangtika completed the royal red look in style. 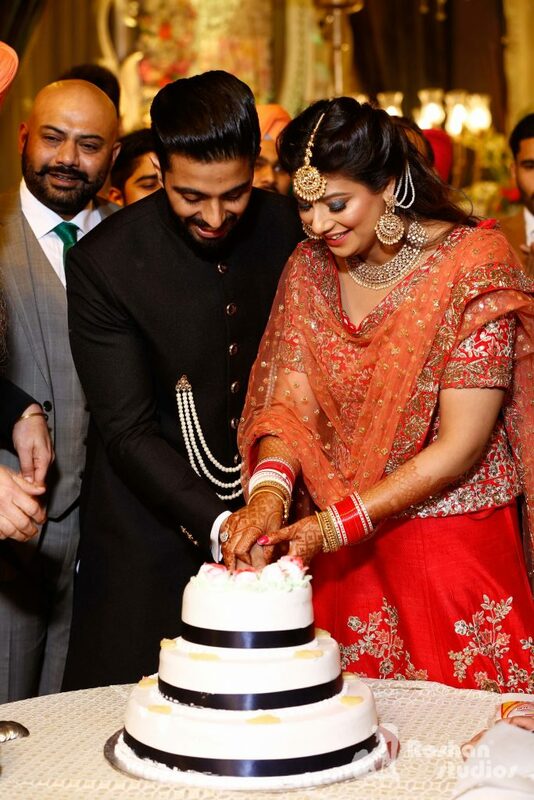 Inayat’s favorite event was the reception too, as now she was completely stress-free and totally enjoying herself and they both danced the night away! 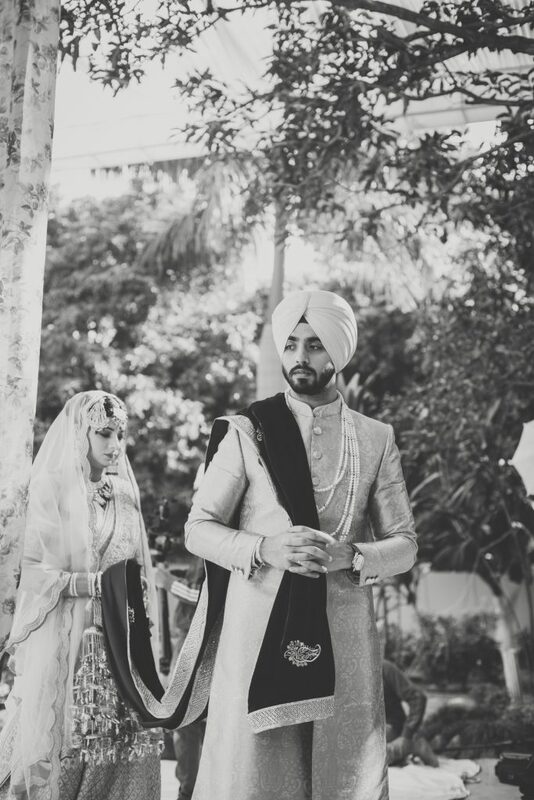 Amaneet wore a classic black bandhgala and don’t miss the layered pearl brooch, which gave a royal touch to his look. 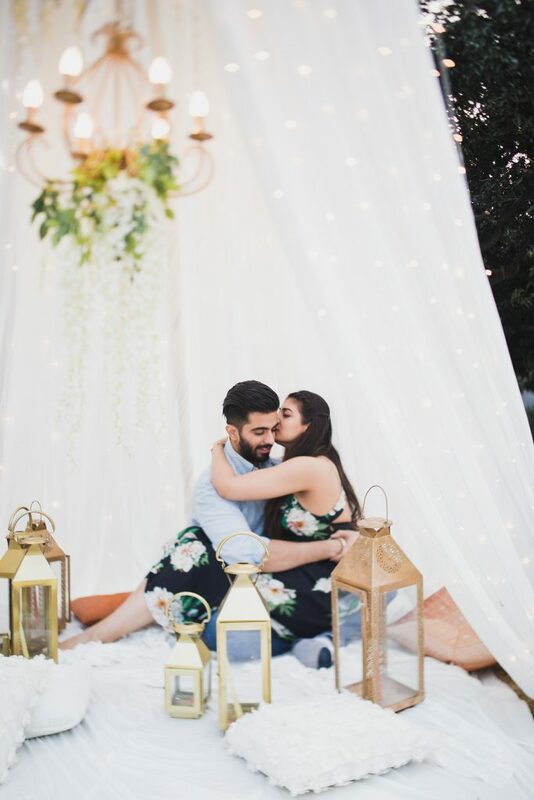 “According to Amaneet, he will make my whole life a honeymoon! 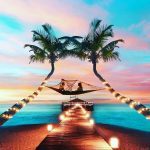 (and so far he has lived up to that;)). 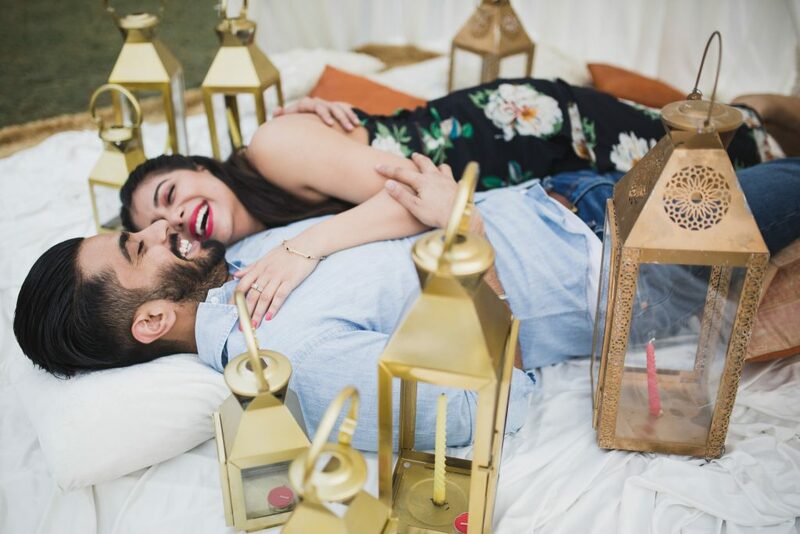 However, we have plans to view the northern lights together as our first officially long road trip”- quips blushing bride Inayat. 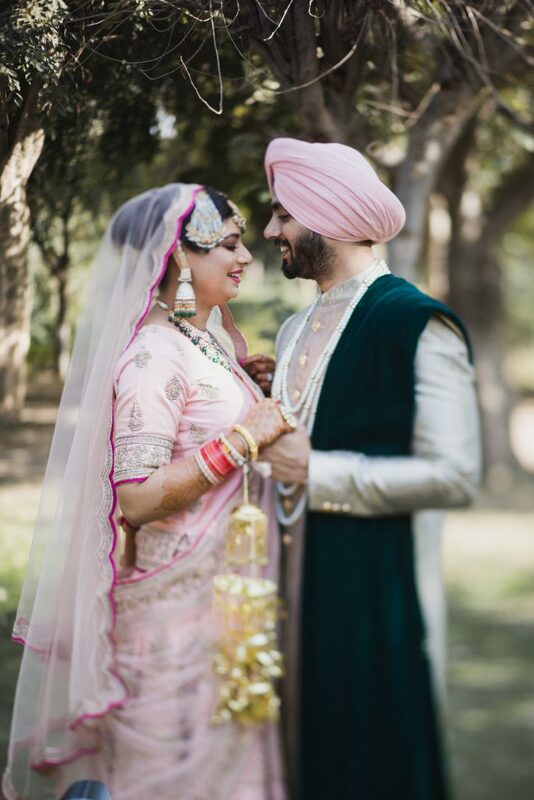 We loved everything about them – from lovely couple Inayat and Amaneet’s beautiful love story to their dreamy ‘pastel themed’ floral wedding to the lovely pictures by Harleen Deol Photography and Roshan Studios! 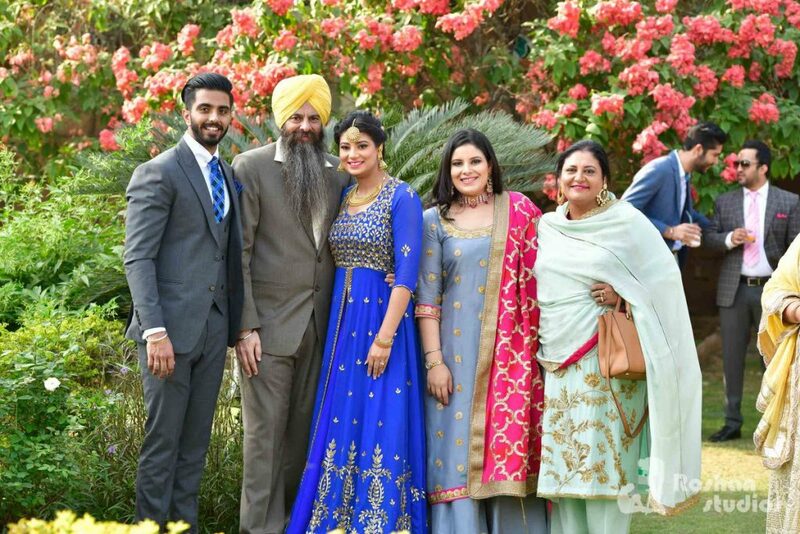 Let us know what you loved the most?